Senior research associate in the Israeli Institute of National Security Studies. Served as a Knesset (parliament) member for 13 year and as a deputy foreign minister (1981 – 1984). 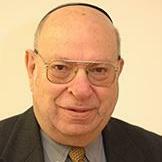 Dr. Ben Meir is an expert in domestic politics, international relations and national security. Israel is not only by far the militarily strongest country in the Middle East but she is also a rock of political, economic and social stability. In the rapidly changing Middle Eastern balance of power, Russian – Israeli partnership could become a potential factor to the benefit both countries.